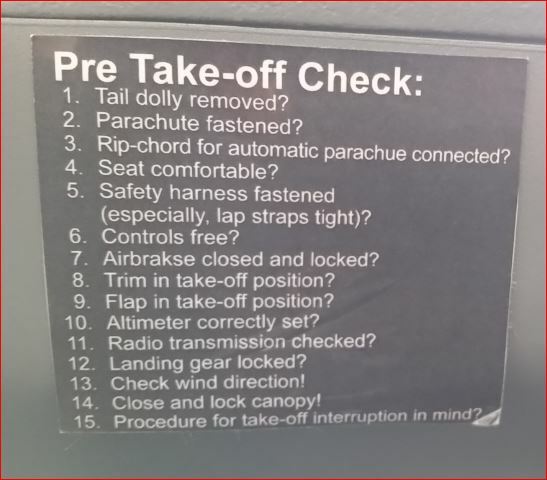 First we need to know the placards that are in the ship. 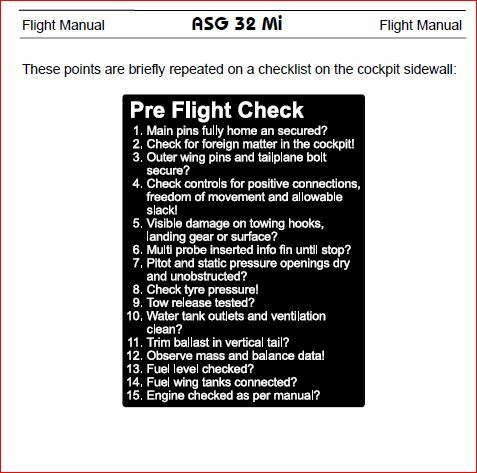 These are the manufacturer recommended and approved checklist and factual data. 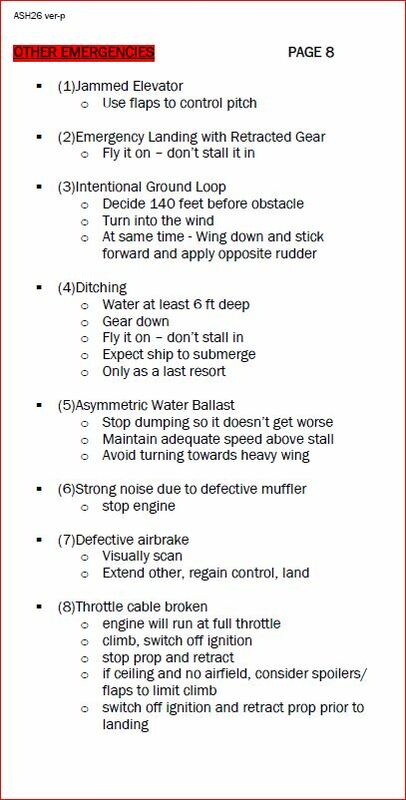 Secondly, I will offer some of my personal versions of checklists, and personal version that are proposed by other pilots as well – hopefully other will contribute their ideas. Starting with the one on the underside of the front canopy. 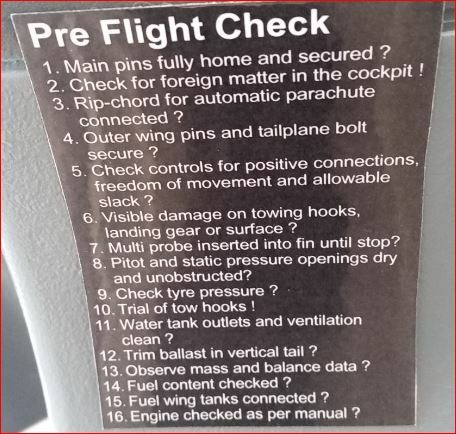 Engine start checklist inflight (first five items) No actions will occur, since the Power-plant switch is off! 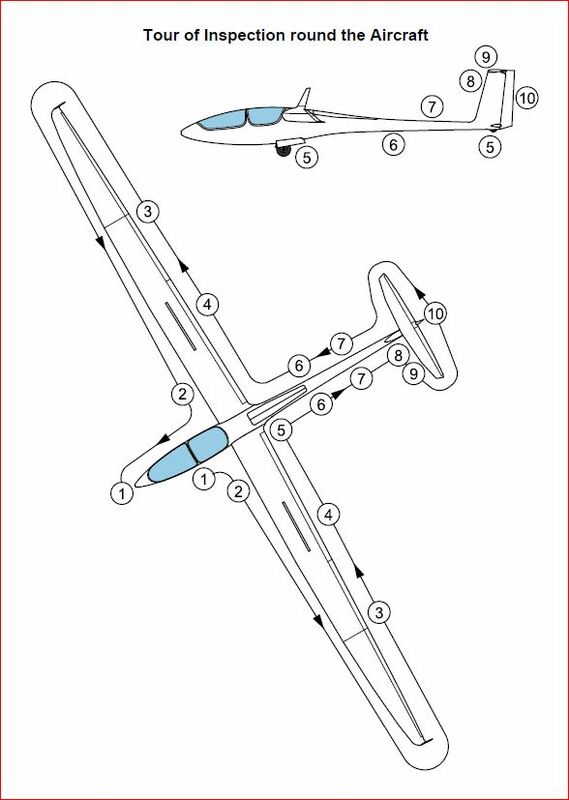 I plan to insert checklists on these pages, and Pilots may copy them off this web site, then print them to whatever size they choose, and even laminate them if they want. Lots of subject areas related to the ASG32. Associated pages, in alphabetical order.